The Virus is quite possibly the most successful synthesizer in modern time. It was first released in 1997 and although there have been hardware updates since, they all build upon the same black-red synthesizer in 1997. With Omnisphere you get a nice selection of 29 waveforms sampled from the Virus Indigo. The Indigo is the compact version of the second model of the Virus - Virus B - which many people regard as the best sounding Virus ever. Thanks to the excellent sound design tools in Omnisphere we turned the waveforms of the Virus into something new entirely, and the final result was 100 new arpeggios, basses, plucks and pads designed to inspire modern dance music production. As a bonus, we took 50 of our favorite presets and changed the waveforms from the Virus to the excellent virtual analog oscillators in Omnisphere. UltraVirus is a part of our Trinity bundle, in which you get three of our best selling sound sets for the price of two. You can read more about the Trinity bundle here. 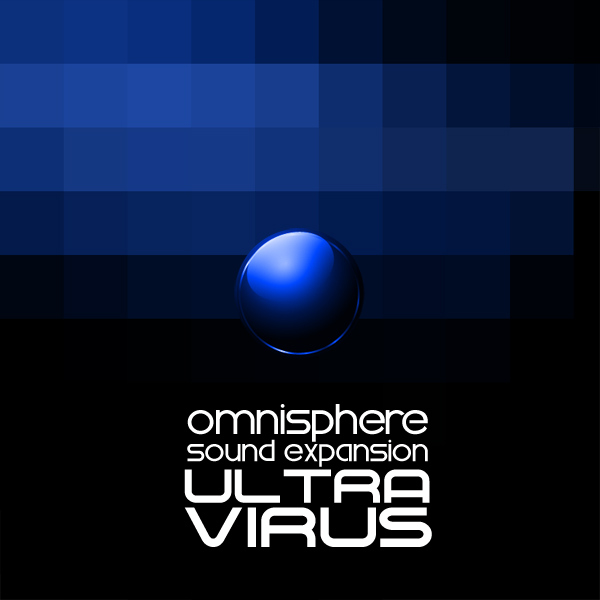 IMPORTANT - UltraVirus for Omnisphere is a soundset for the Spectrasonics Omnisphere synthesizer. This product requires a fully working copy of Omnisphere to work. This is not a sample set. Please check out the FAQ before buying.